Moshi Monsters’ debut video game Moshi Monsters™: Moshling Zoo has become the longest ever number one in Nintendo DS™ chart history by knocking Nintendo’s Dr. Kawashima's Brain Training from the top spot. Launched just six months ago in November 2011, Moshi Monsters™: Moshling Zoo has made video game history by holding the top position for a record breaking 15 consecutive weeks. “This is the first video game we've ever published at Mind Candy so we're delighted and amazed by how well it has done. We're lucky to have such a passionate fanbase of Moshi players” said Michael Acton Smith, creator and CEO of Moshi Monsters. Developed by well-renowned US based gaming developer, Black Lantern and published by Activision Publishing, Inc. (Nasdaq: ATVI), Moshi Monsters™: Moshling Zoo offers fans a fresh new take on the Moshi Universe by building on the popularity of the collectable “Moshlings” (pets for your pet monsters), and provides a new way to interact with their favorite characters. The game features new locations and an exclusive new Moshling - Nipper the Titchy Trundlebot. From the common to the rare, there are 52 Moshlings to collect including the elusive ‘ULTRA-RARE’ – find them if you can! Children can also play new mini-games, educational style puzzles, as well as win awards and trophies to take back to their zoo. The monster success isn’t just confined to the video game charts – the recently released debut music album, Moshi Monsters: Music Rox!, reached number four in the Official Music Charts this month ahead of Madonna and Jessie J with no TV or promotional airplay. With a superb camera and a million and one ways to share photos taken with your iPhone, many iOS users really want to take their iPhone (and iPod) photography to the next level. FrameUrLife now brings us a very elegant way to make our iOS photos even better looking. Let's get one thing straight though, despite the Appstore having a lot of similar Photo apps, they're not a patch on FrameUrLife. For one thing the photo framing app has just recently been featured as a new app on the US Appstore, so it is certainly good enough to attract the attention of the appstore editors. However don't just take the Appstore's opinion into account, just simply have a look at the framing app and you'll instantly see a very fine photography app indeed. It's polished to an amazing degree and brings a multitude of ways to customise your iOS photo viewing experience. Say what you will about the iPad and iPhone, despite being fantastic devices they're not very customisable nor easily personalised. FavesDial is set to change that, with a new and unique interface for iPhone and iPad to get hold of your contacts. FavesDial is a highly configurable iOS dialer that brings one touch email; Facetime; text or calling ability to your Smartphone. The app is very good looking with a nice clean interface that makes contacting people just so easy. The icons employed by the custom dialer are bright and bold with the relevant means of contact available in each corner. The icons are further customisable with three different icon sizes giving the ability to have up to 16 contacts on your screen at once. Download the custom dialer, FavesDial from the Appstore. Each course is an app on Google Play. This allows each course to be reviewed by students and prospective students to read those reviews before committing. There are likely other enrollment and other fees or requirements that we are not aware of. Please contact the schools directly for further detailed information. It is highly recommended that you check the full degree outline before making any purchases with the intent on earning a degree. Although the phone courses are the full courses, Degrees will most likely require off phone courses as well. Most prices vary from FREE to $24.95, up to $100 for each class. This is a lot cheaper than prices for traditional college classess. If you were ever interested in online courses, this new ability to take courses through your phone may just add enough of a convenience factor to help you make your decision. Gaming press release for Combat Arms Press release gives details of the new Combat Arms Clan Battle Map: Slaughterhouse and exciting info on some of the new and most powerful weapons now available for the game. America’s “Combat Arms” Slaughterhouse is open for bloody business New content update includes new search-and-destroy map for Clan battles Nexon America’s popular online first person shooter, Combat Arms has release a new content update that will offer clans a map custom made for faction-on-faction fights. The Slaughterhouse content is now live and free for download at http://combatarms.nexon.net/ The new map, Slaughterhouse, is set within the bloody confines of a meat packing plant, provides players with the opportunity to put their teamwork skills to the test with clan-on-clan warfare where two opposing teams try to outwit and outgun each other in map’s search-and-destroy mode. Players will have an array of new weapons to take into the Slaughterhouse with them including a M1 Garand, a World War II replica of the semi-automatic rifle that was as step-up from its bolt-action contemporaries. Additionally, the Super-Shorty shotgun, designed for maximum damage and minimum range; the scope equipped .357 Python revolver and the USMC KA-Bar multi-purpose knife are now available. Barry Steakfries is back -sort of-Jetpack Joyride has just received some awesome gadgets and new achievements in a new update. Our original JetpackJoyride Achievements article is still just as popular as ever, but what with all the new and nifty gadgets that Halfbrick has brought our way with the new Jetpack Joyride update we felt it deserved a whole seperate article. Thanks Halfbrick for making one of the best endless runner type apps on iOS even better. Anti gravity boots let Barry change the gravity as much as he wants. Think you're falling too fast? The Gravity Belt Gadget (5000 coins) will help with that and make you fall even faster. One of the worst things about Jetpack Joyride Vehicles is that just when you think you've benefitted and found a new powerup for Joyride you get a vehicle that is just inappropriate for the Jetpack achievement you want. Example: Going for the Fly close to the red Light Achievement-well the last vehicle pickup you want is the Gravity suit then, isn't it. So welcome in the new Jetpack Joyride XRay Specs( which let you see what the next pickup is going to be. Probably not from Specsaver or your local optician , but The Stash currently has a special for X-Ray Specs costing 4500 coins. Want more Final Spin Tokens-A new upgrade allows you to buy them with Token Gift costing 5000 coins. Jetpack Joyride missiles proving to be a pain for Barry Steakfries? Use the new missile jammer gadget (5000 coins) that makes them go all wobbly! And what does the Freeze-o-Matic do? Well it's instant Barry Steakfries popsicle time as you snap freeze and gain a few metres of icy sliding when the hard running comes to an end. And how exactly do I earn more coins in Jetpack Joyride? You could try the Gemology Gadget that gets you more coins for your buck by turning them shiny doubloons into high valaue gems. Umm, this is kind of a crazy one and I haven't bought it yet so am still waiting to find out what the Flying Pig Gadget (6000 coins) does. Comments welcome! Choose your Jetpack Joyride best vehicle with the Free Ride Gadget (5000 coins), get even more coins to spend on the new gadgets with the Coin Magnet (6000 coins) and Lucky Last (5500 coins) which guarantees a winning Final Spin token. 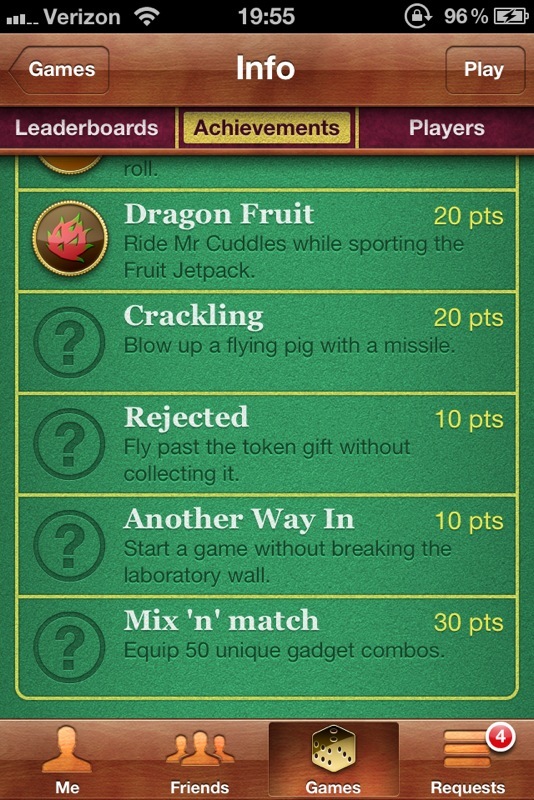 Unlock Jetpack Joyride Gadgets in the Stash section of the game with earned coins. And what's the best feature of the new Jetpack Joyride Gadgets? You can combine 2 at once for some hilarious results-up to 100 combinations. To get the new gadgets you will have to work through 5 sectors to unlock them for purchase. CRACKLING – Destroy a flying pig with a missile. 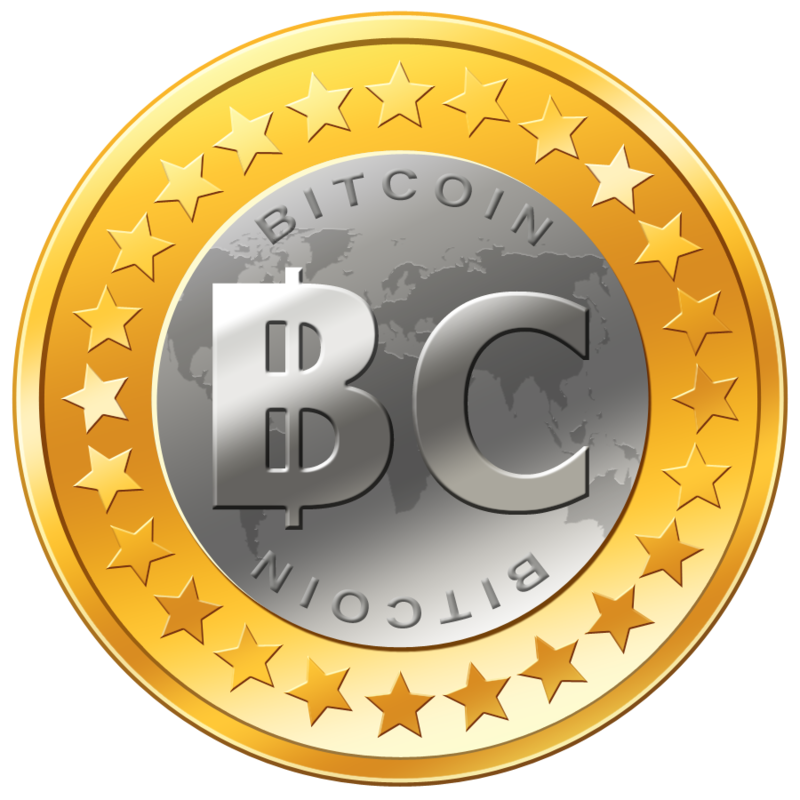 REJECTED – Just go past the token gift without getting it. ANOTHER WAY IN – Start the game without breaking the laboratory wall (see comments in our previous article for advice on how to achieve the Another Way in Achievement). What a game and what a massive update! Now to go off and get all those new Jetpack Joyride Game Centre Achievements! and Improved Retina Display Graphics for the New iPad. Cheech and Chong have quite the following worldwide so it was only a matter of time before an app celebrating everything that is Cheech and Chong about the loveable stoner pair was released on iOS. The stoner app will appeal to both long term fans of Cheech and his buddy; those embracing a shall we say 'freer lifestyle choic' when it comes to their favourite form of getting high and of course those who are liberal enough to see the great humpour in Cheech and Chong. I must admit that I've never really known much about the stoner comedy duo beyond my parents watching a few of their videos late at night, and packing me off to bed whilst they did so-we are talking decades ago here by the way , so the high as a kite comedians have been around for ages. So what is the significance of 4:20? I'll have to do a web search to find out-but I'm sure long term fans will get some laughs from one of the apps features: The 4.20 clock that is always that significant cheech and Chong Time( with interchangeable faces too). Other features like 'Kush Notifications' and the "Cheech and Chong 4:20 Social Planner" are also nice touches bringing a bit of useful planning functionality to this comedy stoner app. "The Stoner" is highly emebedded into net functionality too, with all many features linking in to social services like Twitter and Facebook. Premium features like a Cheech and Chong Soundboard and " The Head Shop" ( Cand C mechandise?) can also be accessed. Now if you're a fan and manage to come down from your high for a bit you can also get your head around "The Chronic" accessed from in app and bringing the latest stoner news your way! Useful I suppose to stay on the right side of the law when smoking illegal substances-who thought there'd be an app to help out with cannabis legalities! The front end with the pet Iguana (fans help me out here-what is Cheech and Chong's Iquana's name?) who breathes dubious smoke when prodded and the '80s joint car with pink fluffy dashboard and chain steering wheel is a nice touch too. Other in app features to look forward to when they are released are "Cheech and Chong Photo Booth", Stoner exercises-" The ultimate Stoner workout (Get Ripped with Tommy Chong) !" ; stoner recipes courtesy of " Get baked with Cheech Marin" and Cheech and Chong fans who are iPhone owners will love this one: "Ice-Cream Truck across the Sky" . Glazy eyed fans will be putting aside their joint money in anticipation of all these features, as a portal to all things Cheech and Chong on the internet and iOS The Stoner" is unparalleled. Games like StarDolls really seem to capture gamers, particularly women gamer's attention. Spinnyhead a new iOS platformer takes the idea of a fashion game and builds on it to make it appeal to those not just interested in clothing an avatar in the latest fashions but also to appeal to those after more of an action fix on their iPads and iPhones. An uncluttered game with an appropriate backdrop of a clothes closet, Spinnyhead the game's fashion concious main character loves her fashions, her task is to complete a full fashion ensemble using the scattered platforms to gain height and get the latest clothes and accessories whilst avoiding the moths who can be taken out woth her anti-moth gun. The game is a nice simple diversion and will appeal to both iOS platformer lovers and fans of Stardoll and its like. An in app purchase of the ever so cute SpinnyCat protects SpinnyHead from the moths temporarily. As the game stands it has broad appeal and game centre integration also brings some competition to this fashionista's world. In later updates we can hope for more enemies to avoid (paparazzi and fashion disasters maybe?) and more varied backdrops. Do you often have events such as hangouts, parties, birthdays and sporting events and wish that you could invite only certain friends that you actually see to the events? If so, give the app Giddy Up a try. It’s available for both iOS and Android OS and it's easy to use. Name the event. Add where and when the event is to take place. Set the event as either private or public. 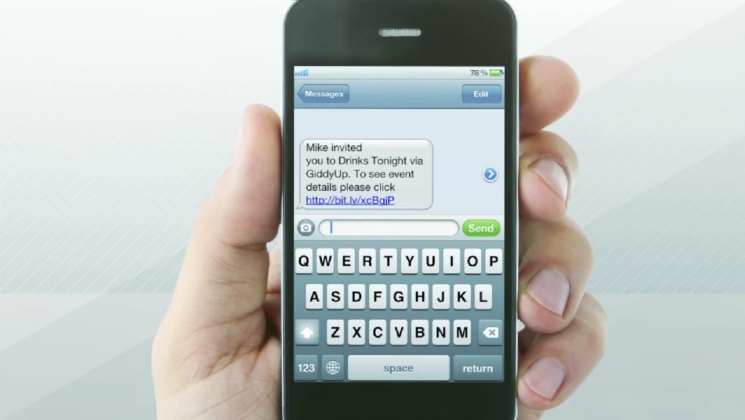 Use your phone’s contacts list to invite people to your event. That's about all you need to do and you're set. The forms are legible and transitions between screens are smooth. The directions are also simple and easy to follow. If any changes need to be made after the invite, they can be made and the invitees will get a notification of the updates. Details of the events are nicely organized on one screen. Invitees may look at the invite list and see each persons attending status. Group Chat makes it easier to communicate and plan. 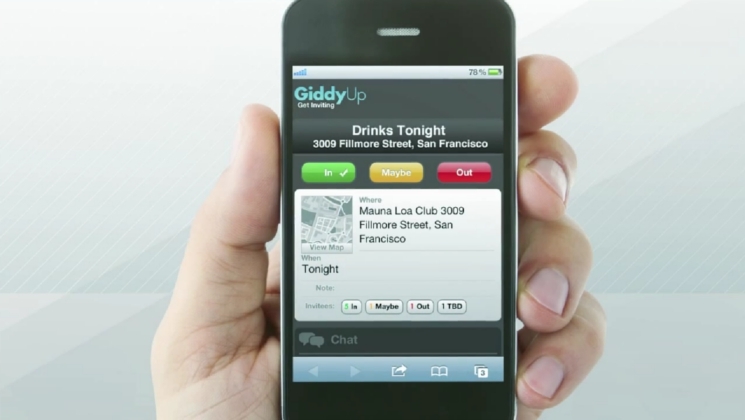 The app is FREE and does not require invitees to have Giddy Up to work. Those without the app would receive a text message invite with the details and a link to a webpage that displays more information. 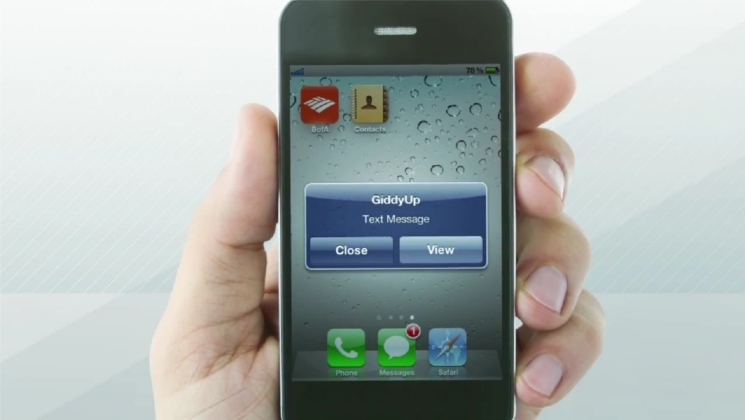 Giddy Up is brought to you by MEDL Mobile, Inc. There is also another App on Google Play called "Giddyup" but that is a different and unrelated application. The size of Giddy Up is only 2.2 Megabytes and that's reasonable. Only 10 digit numbers may work with the app. The Developer knows this is an issue for some and are working on it at the moment. I doubt this will take them very long to fix. MEDL Mobile, Inc. states that "Facebook and Evite won't solicite as many responses" if the event is posted on short notice. So what are you waiting for? Giddy Up and gather your friends and have a great time. The Appstore has no shortage of Talking Friends Apps, so to stand out as a talking character app you have to have something unique and special. The cute talking character app is the only talking car app that we have been able to find on the Appstore. When we were pointed in Zippy's direction and told that he's probably unique as being the sole app of his type on Itunes , we were prepared to be disappointed if "Talking Car Zippy" didn't live up to expectations. When my little boy went into hospital with pneumonia a few months ago one of the only toys he had with him was his little Roary the racing Car. Roary and Lighntning McQueen and other famous cars have always touched a heart string with kids and adults alike. Zippy immediately reminded me of my son's love of cars and it's pleasing to see that the animations and cute drawings used to bring this app to life are very appealing to him too. Of course, as nice as the animations of Zippy are, if you couldn't do anything with him it would be a waste. Well there's plenty to do in this car app and it's all executed at just the right loveable level for a child and easily amused adult! Talking Car Zippy is very interactive and can be played with in a variety of ways. The car responds in different ways to voice and gestures-such as when you talk to him and he will talk back in his own hilarious voice. Zippy can be touched , poked and prodded with a variety of different reactions occuring. Don't be too obnoxious to the little car though as he'll soon let you know! The well animated and entertaining app is a delight for young and old. Naturally youngsters will get the most out of the talking car app, but young at heart adults will also be amused by the level of Zippy's interactivity. Download TALKING CAR ZIPPY from the Appstore. The Talking Car app is free! Nothing quite matches iOS gaming for it's brilliant touch capabilities, puzzle games especially revel in the ease of UI compatability. That's why Puzzle games are so prevalent-especially on iPad. However to be a good iOS Puzzle game requires something special. PowerOn ticks quite a few of those "Something Special" boxes. Loosely based on the Merlin Electronic Game of the '70s, PowerOn bring s the Merlin experience up to date for modern touch screen gaming. The original game was by all accounts a bit of a puzzler and mind scrambler, the app is no different! With the simple premise of pushing the lights in the correct order to power up the whole grid, the puzzle app starts off easy and has a firm but not sadistic learning curve. It uses retina display graphics to perfection with the graphics really reminiscent of top quality tabletop puzzles. PowerOn is not short of levels either, with over 60 levels bringing a lot of brain numbing puzzling to your iOS device. Like me you can just push to complete very level, or you can work hard to complete a level in fewer moves to get a better score. The graphics really enhance the puzzle app and there are different light arrays to keep it interesting. Simple apps that do big and impressive things, is really what we want. Look at Instagram for example, nice, simple and uncomplicated, but the brilliance that it brings to photos is unparalleled. So what other senses can iOS enhance, as visual has already been covered let's move on to the audiosphere. After all Apple originally became massive on the strength of it's MP3 Players, so you'd expect apps to have kept pace with this audio legacy and be bringing some brilliant features to our music. Instant audio gratification is granted at the push of the button. So what exactly does SpaceSampler do? In essence you can add effects to music, instruments and voice with this app. Any audio you play through or record with SpaceSampler can be changed and enhanced with a variety of filters added to it. I'm no muso, but this is powerful audio equipment distilled down to the size of an iOS app. I ran the audio app through my iPad, just experimenting with a bit of voice recording. Adding various filters, such as AM Radio and Electro IR Filter just to see how it works and for amusement's sake. The results are clear and instantaneous with over 15 professional IR (Impulse Response) high quality audio filters for your iPad or iPhone this music making app will be very powerful in the right hands. I've given a copy of the audio filter app to a musician friend and am awaiting a response. Growing up with this muso friend he'd often try intrigue me with his latest music gadget. Instantly he sprang to mind with his Korg Synthesisers and Cakewalk software, because as far as I can tell this powerful audio app from Periscope does all the work and more of an expensive real time hardware filter and all from a cheap and easy to use app. Paying a visit to the SpaceSampler Website will give you more of an insight into the brilliance behind this musician's app. Periscope Audio Labs hasn't just number crunched some fancy software to do this apps work but has used the algorithms and sound wave forms from real audio equipment and performance spaces. Maple Story is one of those RPG type games that have been around for ages. If you're a fan then we're sure that you want to find out what the latest Maple Story Update has to offer. We've got hold of the Nexon Press release to show all you Maple fans what to look forward to in the latest game update. 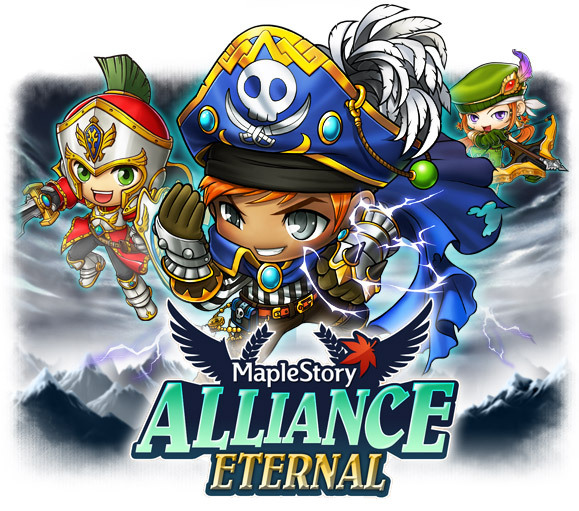 Explorers and Cygnus Knight characters in Nexon America’s 2D side-scrolling MMORPG, “MapleStory,” are the last groups to be rebalanced in the Alliance update trio. Alliance Eternal, released Apr. 12, restores the order among the classes, making Cygnus Knights and Explorers, specifically Warriors, Magicians, and Bowmen, more powerful and equal to all the other character classes that were balanced in the previous Alliance updates. In addition to the rebalancing, Cygnus Knights can now enjoy new quest chains for levels 110 and above. Players can investigate and solve the mystery of the Clock Tower as a newly awakend Cygnus Knight, earning a reward of five skill points. Those that are level 120 can travel through the Dimensional Schism and defeat the evil Arkarium. Victorious players are rewarded with the ability to raise the skill level of their Noble Spirit, a skill that raises the master level of Empress' Blessing and gives permanent stat boosts to the characters in the same account that are in the same game world. This is dependent on the level of a Cygnus Knight character in the same account that is in the same game world. Legends characters are also making a brief appearance with the Alliance Eternal update. For the duration of the Alliance Eternal update, players who haven’t logged in for a month or longer have the opportunity to create a Legends character to explore Maple World. Those who choose to create and level a Legends character to at least level 10 will receive 3,000 Maple Points. Alliance Eternal completes the Alliance updates and rebalances the Explorer and Cygnus Knights character classes. Look forward to MapleStory's seven year Anniversary in May and an expected summer of Massive Content Release , including ,it's rumoured, the Phantom Hero. Android users love Weather Apps so they'll absolutely adore PixWeather Update. Which brings a really unique and refreshing idea for a weather app to Google Play. Other apps are happy to show you a generic picture, perhaps nicely animated if you're lucky, of Sunny conditions, rain or whatever else your local weather is doing. Bland, boring and humdrum. Because let's face it: You're an Android User because you love the way that Android can be personalised. And that's what PixWeather Update is all about: Personalising your Weather Forecast for your Android Phone. Using Google Weather Forecast to see whether to expect rain, or sun or sleet or whatever else may come your way. The clever little weather app allows you to tag one of your own pictures with a "weather tag" . So if you're expecting snow tomorrow , then guess what PixWeather shows you your own personalised picture of you in the Swiss Alps, or perhaps making Snowmen in the garden with the kids. Or whatever personalised picture for the cold you want. Sunny Weather tomorrow? Well isn't it appropriate that your weather app is showing you your sunny holiday abroad? Like a normal Google search the actual Google formula for Android app searching is a closely guarded secret, but based on recent research trends have been seen showing a correlation for good SEO of Android Apps and their likelihood to be found in a Google Play Search. What Factors Affect Android App Downloads? Organic search on the Android Market counts for about 75 percent of App downloads.So to increase Android App downloads it's crucial to improve your search rank for popular keywords within the type of app you have. For example I want to download an Alarm Clock App, think of all the various phrases that a person likely to search for this type of clock app would look for. Be creative and use the power of Google Play Search to your advantage. Don't be afraid of the Panda , embrace it! The first and most important thing when having your Android app listing searched for is the Title of the App. How big can your Android App title be? 32 Characters-32 App Title Characters that make the difference between being the next Angry Birds and Generic Hangman App Number 168 . Again Keyword, keyword,keyword! Use at least one Keyword to improve your Rankings. When you're a big App developer you can afford to be creative with your Application titles, because then people will search for your app development studio and hopefully buy your apps because they love your apps. Until then the Keyword Search is your biggest weapon in avoiding your well honed app sinking into obscurity. Just like you see me including anchor text and popular search terms in this blog a multitude of times and in different contexts within this blog to improve it's chance of an App developer searching for terms such as " How to make people download my Android App" or "Get Lots of downloads on Google Play" (see there I've done it again, two more chances of this being searched by an app developer just like you!) So too should you use this type of SEO for your Android Apps. It's recommended that you use keywords at least five times in your app description. Remember you not only need to use synonyms for your search text but also make sure that your description makes sense to a potential user of your app. Your good App SEO will bring the buyers to you-but the deal will only be closed if they like what they see. 2. The most important keywords MUST be included in the app title. 4. Try to use a developer name that pertains to the type of app you are publishing. 6. See what rival apps are up to and use their ideas in your own creative ways. 8. Look at the search rank for your keywords. Don't use an oversearched term-unless you're already established you'll sink! ZX Spectrum Fans revelling in the 30th Anniversary Celebrations of the ZX Spectrum's launch can now enjoy their favourite Spectrum games on iPad and iPhone. Today (23 April) Sir Clive Sinclair released the humble Speccy onto the World. With a nostalgic lump in my throat I remember reading the original 8 bit gaming mags "Crash" and Sinclair User. So I'm sure that you'll be as excited as me to find that Elite Systems has released a bumper pack of the 100 greatest Spectrum games for iOS. Following its announcement http://tinyurl.com/bua72uw of the iOS Apps, Elite Systems, the long established UK based developer and electronic publisher of games for portable, mobile and other devices has confirmed the full track-list. Elite Pack #1 - Chuckie Egg, Buggy Boy, Turbo Esprit, Saboteur! All of these legendary Spectrum games are now on the Appstore and for a really good price. That's definitely the best way to celebrate a great anniversary for an 8 bit gaming legend. If you’re looking for the definitive ZX Spectrum app, to which new games are added every other month or so, then search for “ZX” at the iTunes App Store and then select either ‘ZX Spectrum: Elite Collection’ (for iPhone/Touch) or ‘ZX Spectrum: Elite Collection HD’ (for iPad). New technology patents from Microsoft might take Apple's iPad dominance and iPhone smartphone dominance out of the game. Apple has long been one of the favourite manufacturers of Mobile phones and tablets (especially with the new iPad 3 (HD) rapidly flying off Smartphone retailers shelves. However iOS powered products whilst still being brilliant in recent years have tended to be evolutions of good ideas and not revolutions. News of dual display Smartphones and tablet patents applied for by Microsoft may be the revolution that we have been waiting for. 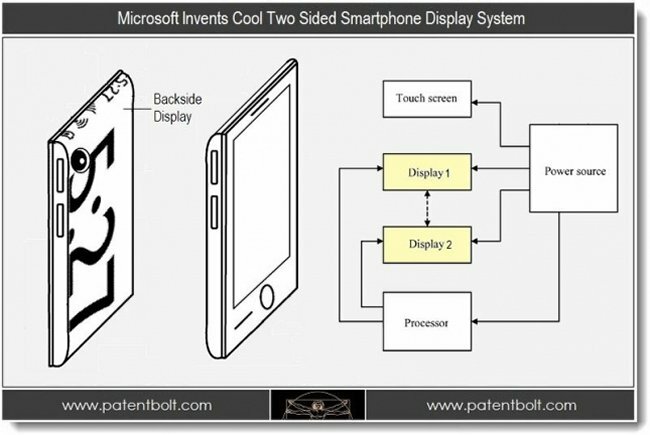 Sources at the United States patent and Trademark office have let slip about new smartphone patents that reveal that Microsoft is working on two sided Smartphones and Tablets. This is not simple tech like mere switch covers . But very advanced mobile technology that will give us to tablet screens, one front and one back. The front screen will of course be the meat of the devices (will it compare to iPad's HD retina display one wonders?) but the techno revolution comes in the form of a second low power back screen that can fulfil the role of a display clock, album cover or whatever other use developers can think of for it. A far better idea then a dull and lifeless aluminium back cover with an Apple logo!